This Sounds Like A Job for Super-Pug! 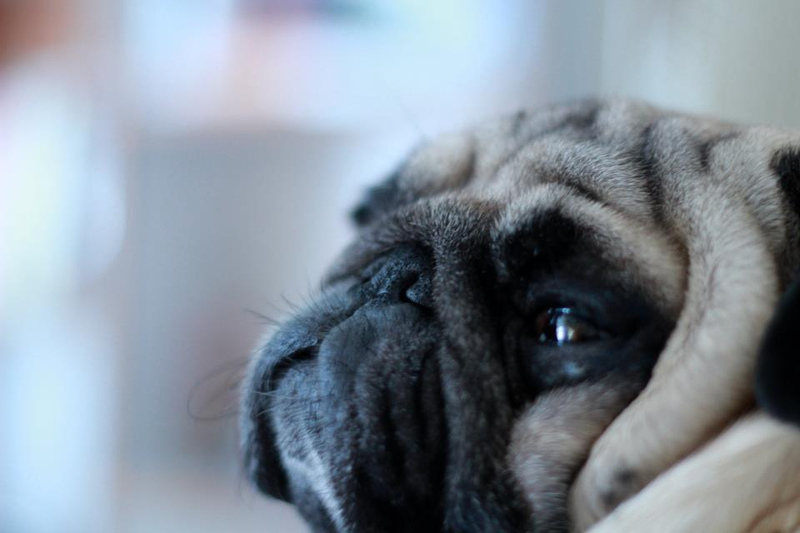 Some days all you want to do is snuggle with a cuddly pug. Alright, that’s actually most days for us. 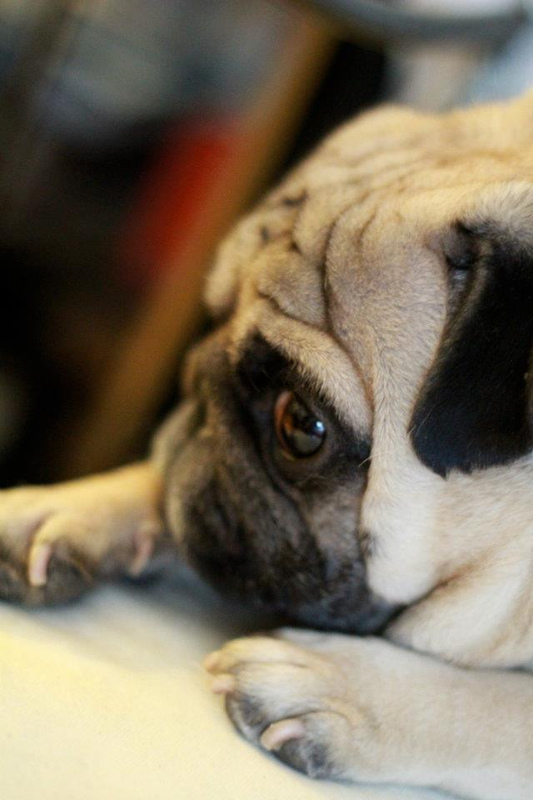 What could be better than a cuddly pug you may ask? 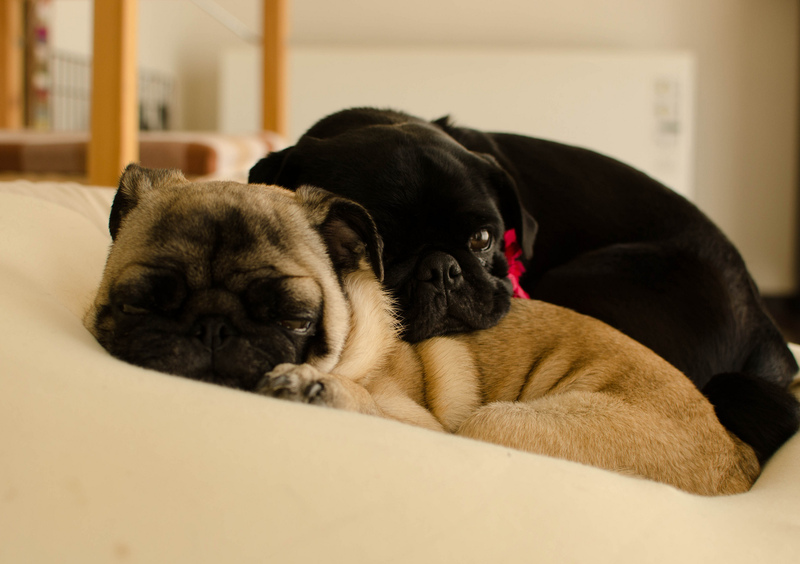 Well, definitely two cuddly pugs! It can be very disappointing to spend a lot of time getting ready for an outing and putting together just the right thing to wear, just to discover that someone else is wearing exactly the same thing. 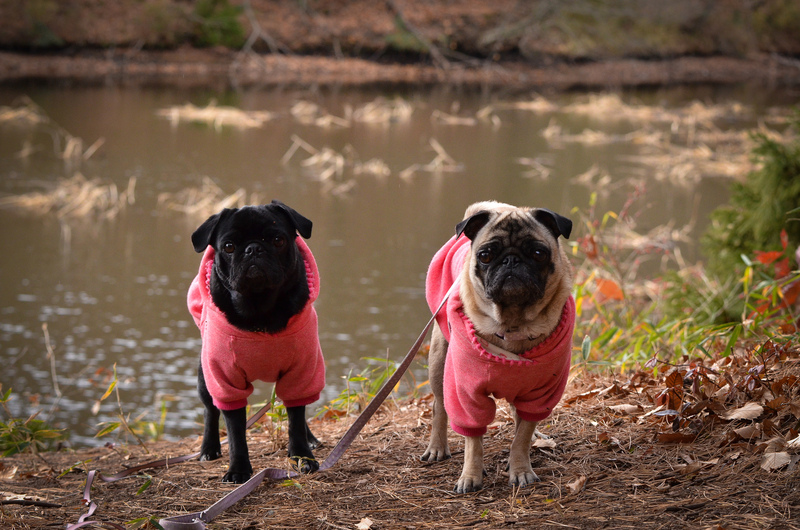 We wonder if pugs feel the same way when they encounter another pug sporting the same ensemble. Now That You’re Awake… Breakfast? 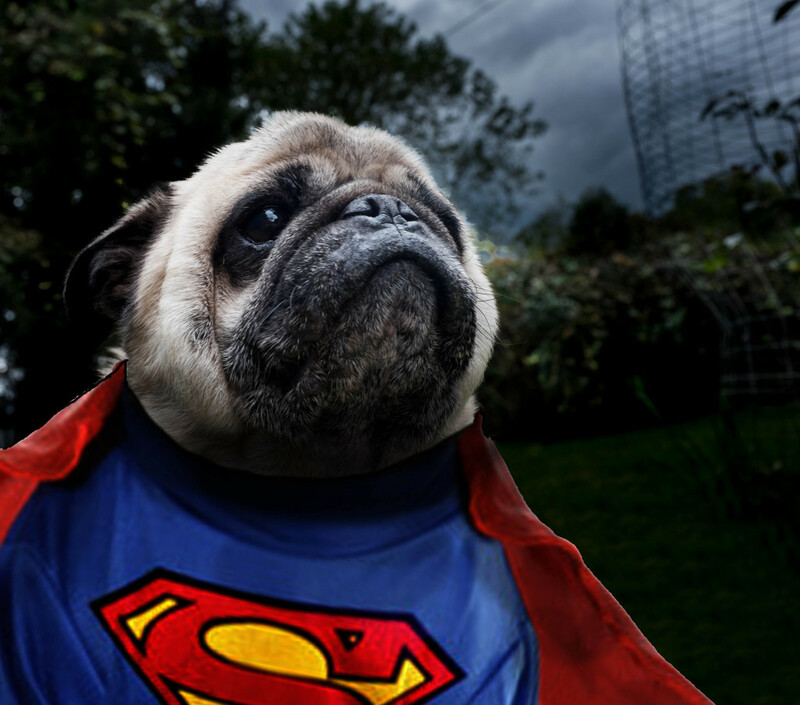 It seems like the mind of a pug is dedicated to a few key things, most importantly, food. When our pug is ready for breakfast or dinner (even if it’s 2:00pm), she is relentless in her attempts to get our attention and convince us to feed her. 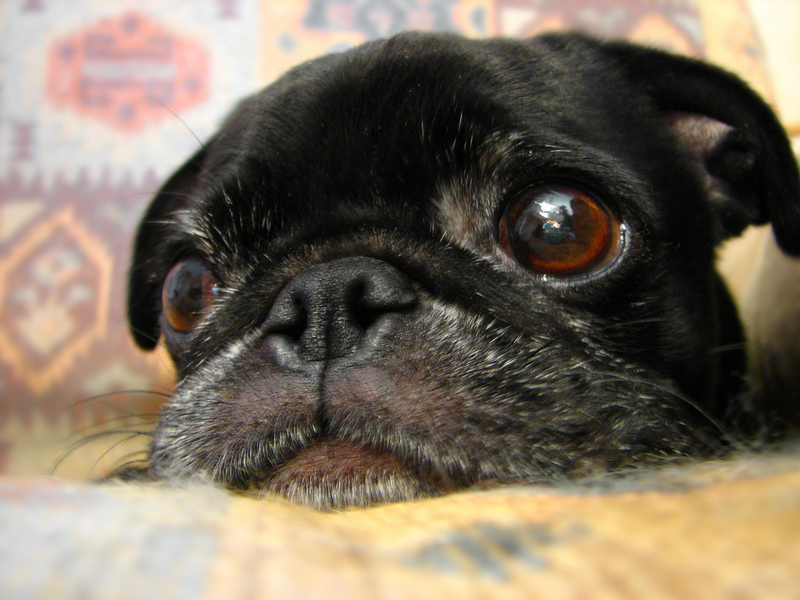 Some of the tactics pugs use include uncomfortable amounts of eye contact, unusual closeness (even for pugs), and strange (desperate) noises. 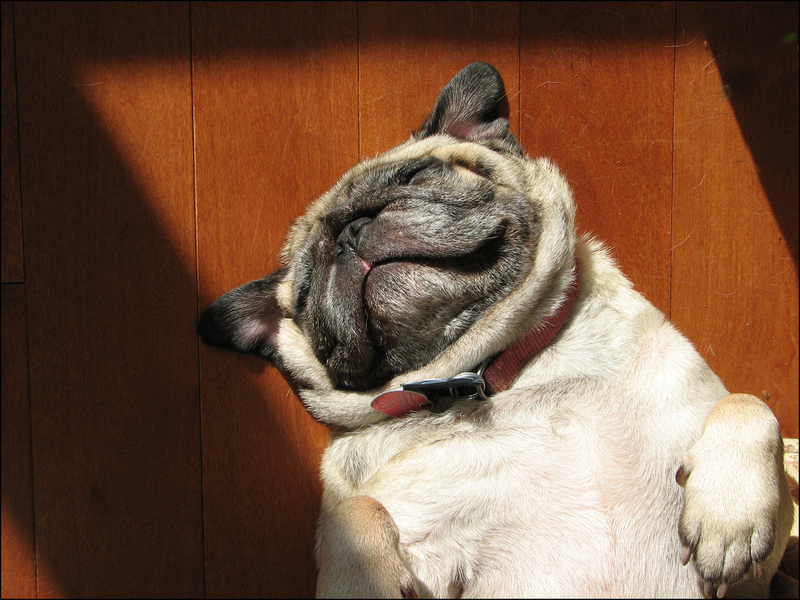 Want a Happy Pug? Just Add Sunshine! Everyone (and every pug) has times where they wake up with all the best intentions but the motivation quickly sneaks away. We’re feeling quite sleepy this overcast morning, and even Nickie seems to be a little sleepier than usual. 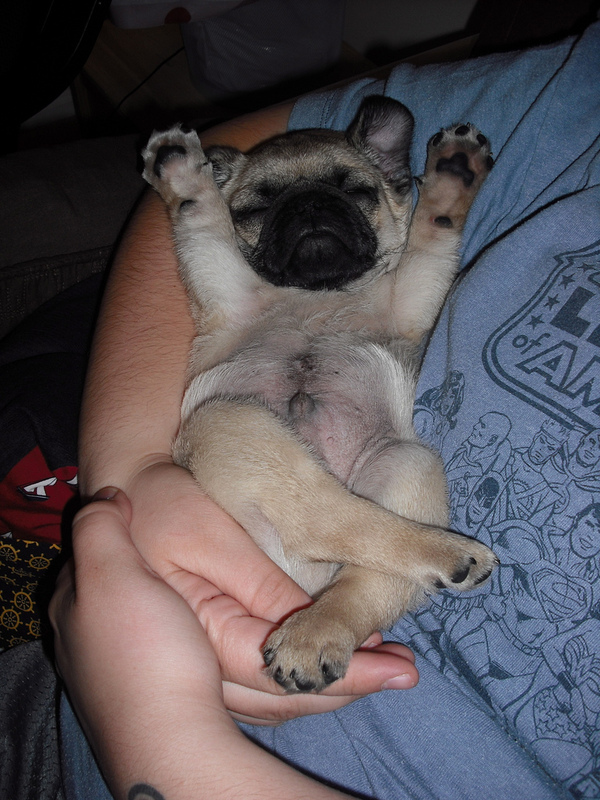 We may have to join this adorable little pug for an emergency nap break! Are You Sure it’s Monday Morning Already? This face perfectly captures that feeling when you wake up Monday morning thinking that it is Sunday, but then your alarm goes off and you have to come back to reality. If only weekends didn’t go by so quickly! 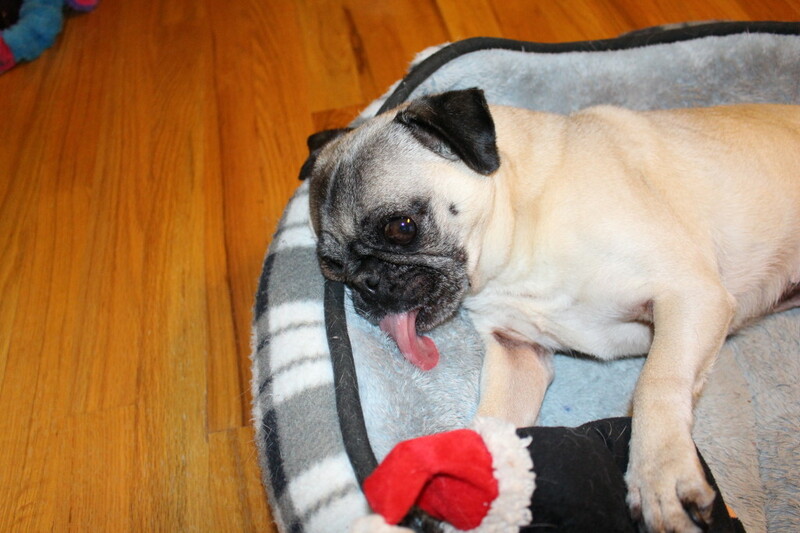 Sunday is usually our day for getting all our shopping done (for our pug and for ourselves). 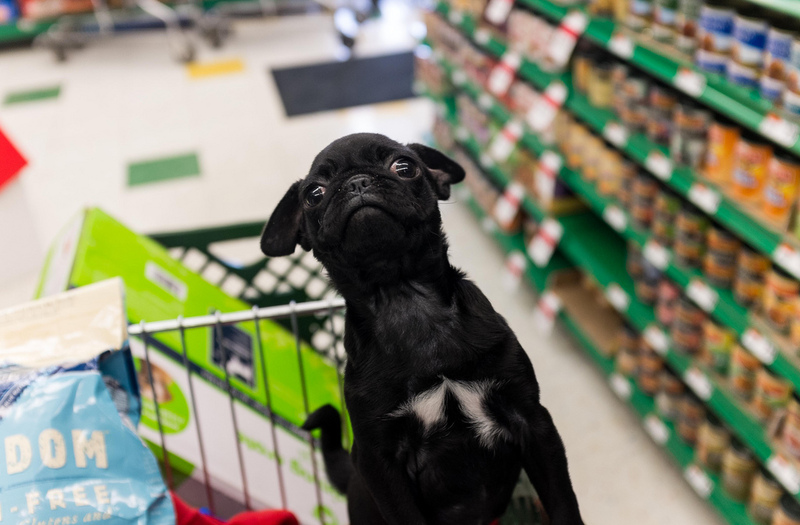 What better shopping companion is there than a delightfully excited pug? These pugs are having a wonderful time out and about in the pet store. Pugs are notorious for many quirky behaviors, and one of these is definitely their constant licking of just about anything they encounter. We were up bright and early this morning, and even though Nickie was still a bit groggy, she spent several minutes sprawled out licking her bed (and clutching her penguin for reasons unbeknownst to us) before finally giving in and drifting off to sleep.